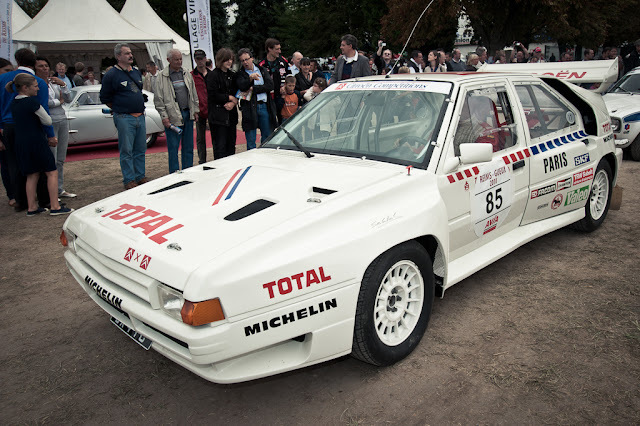 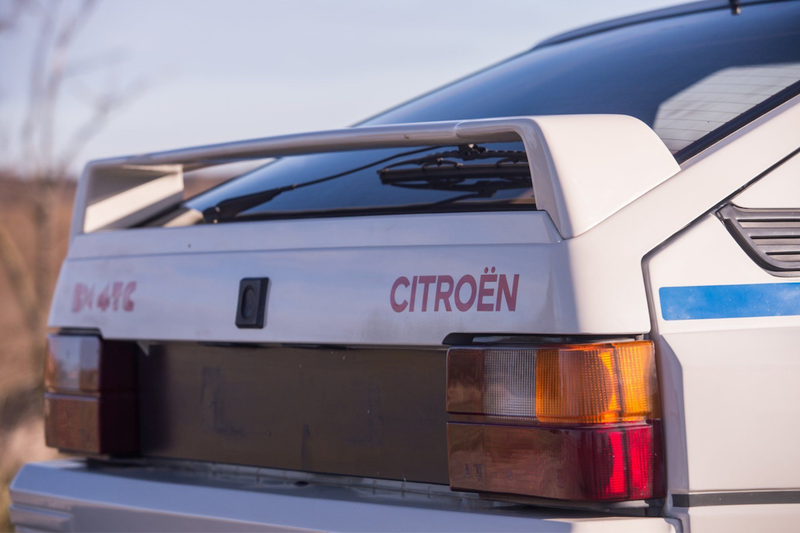 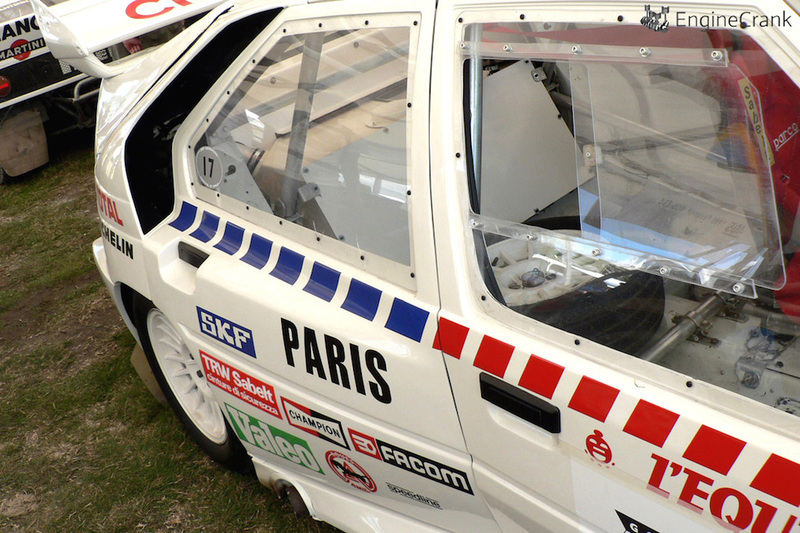 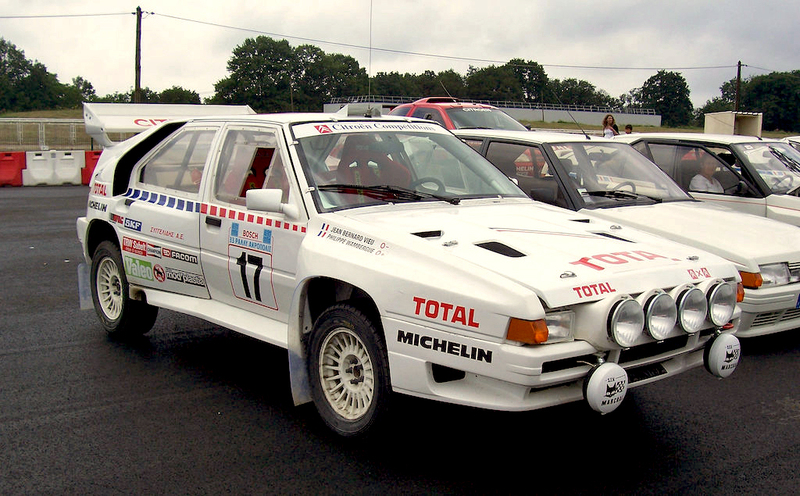 Citroën entered Group B rallying with the BX in 1986. 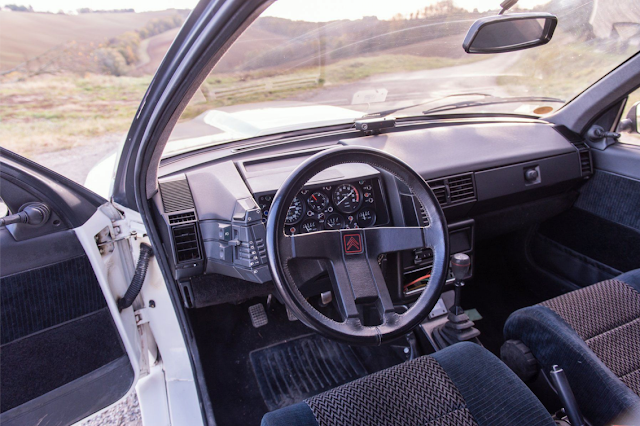 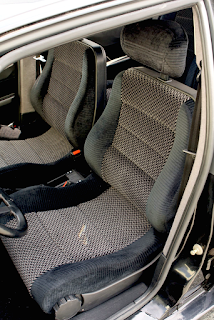 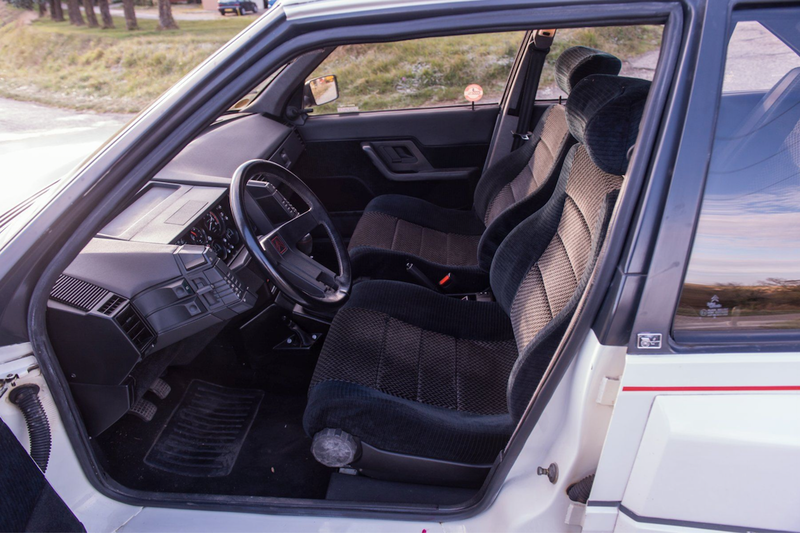 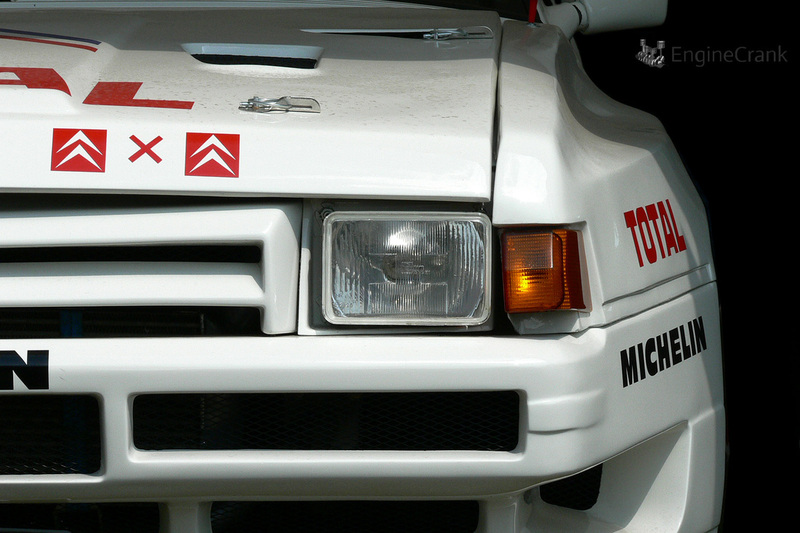 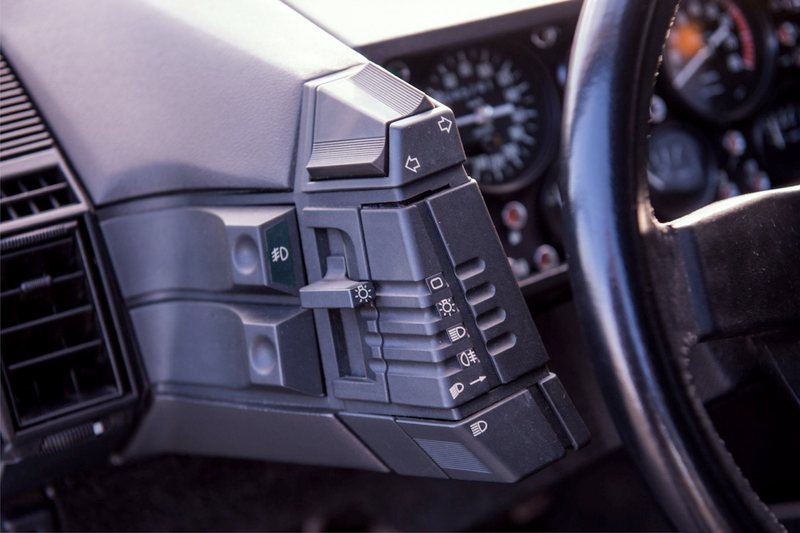 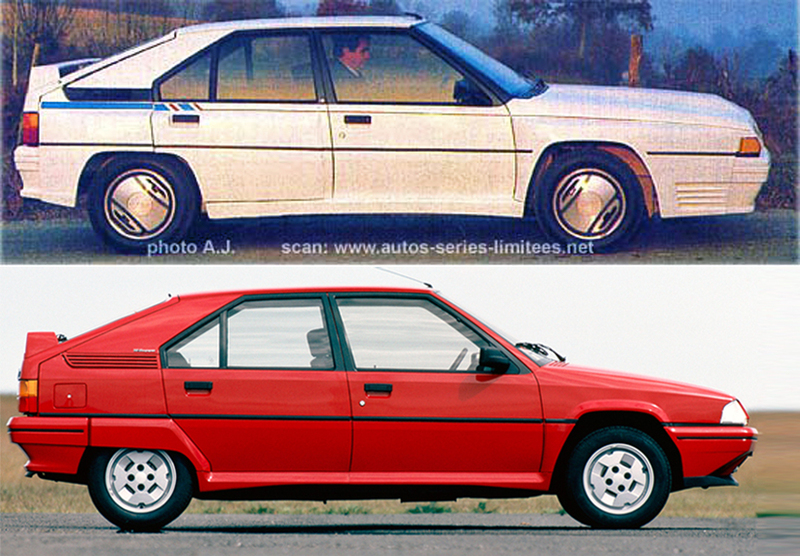 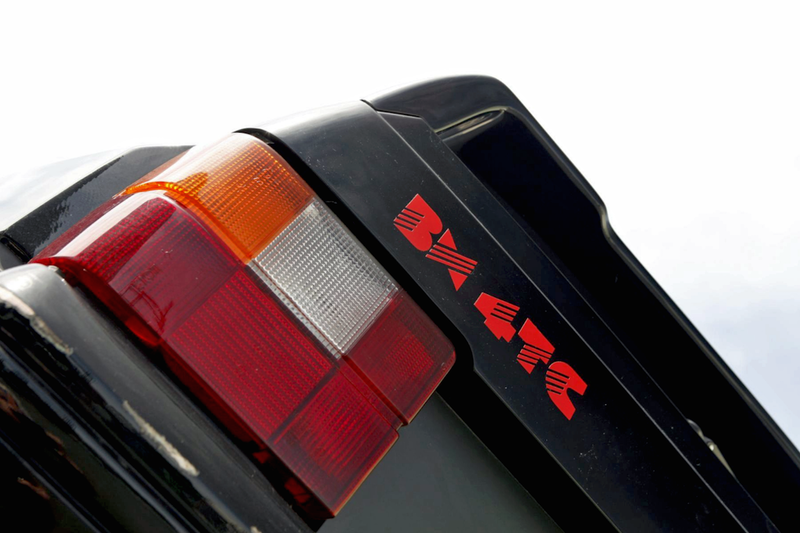 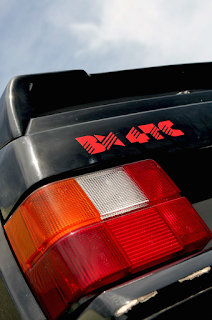 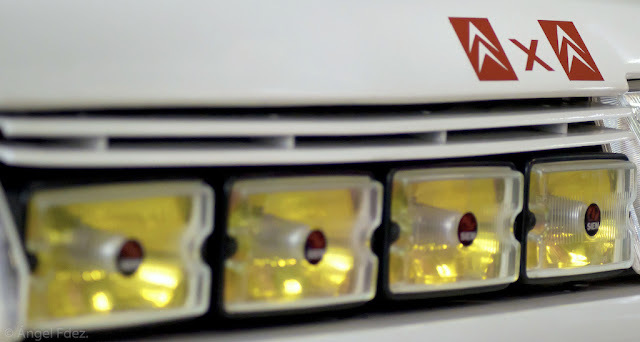 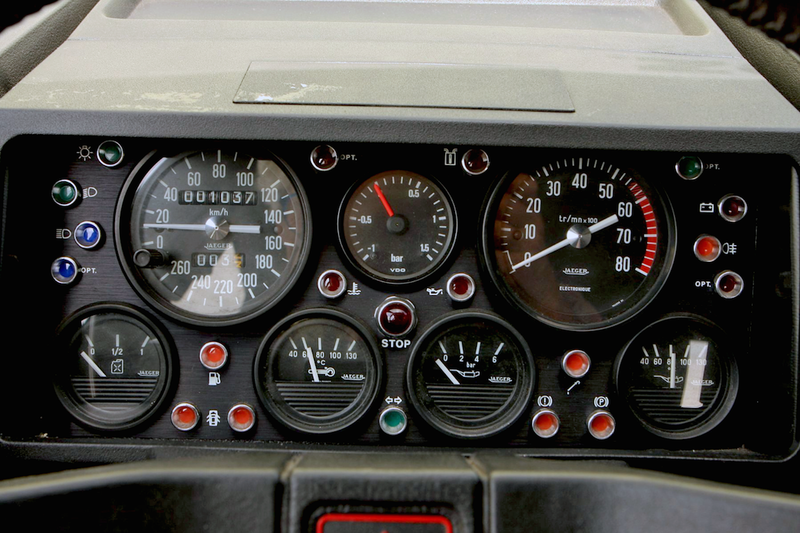 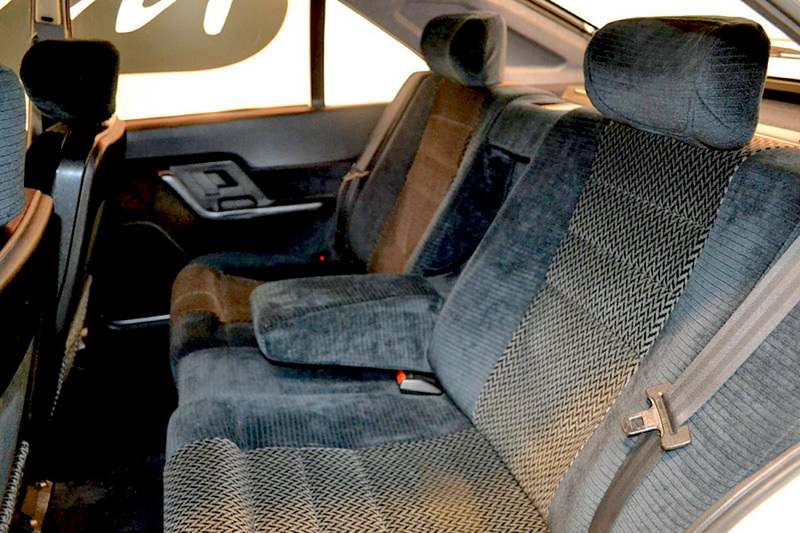 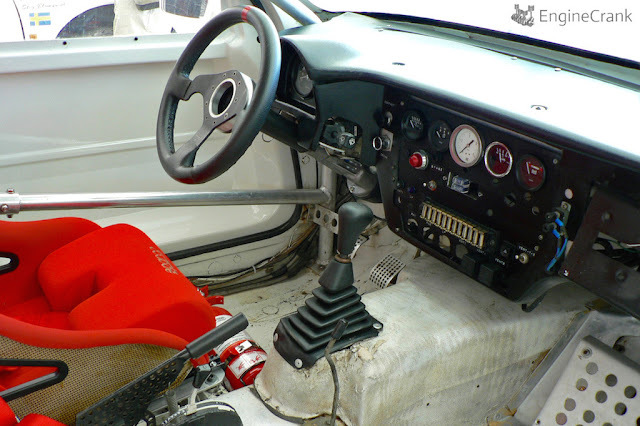 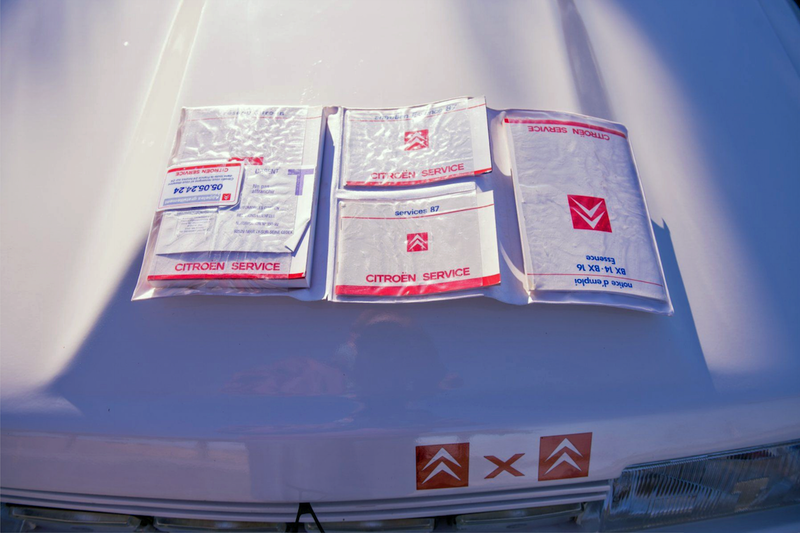 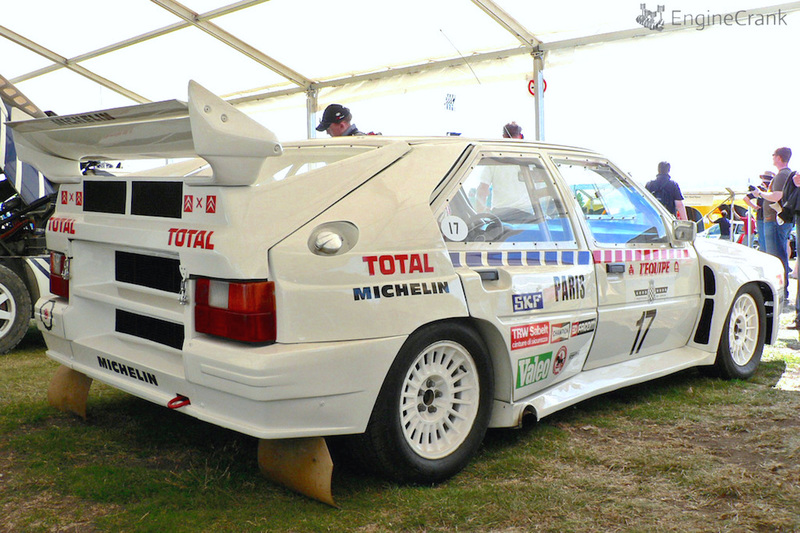 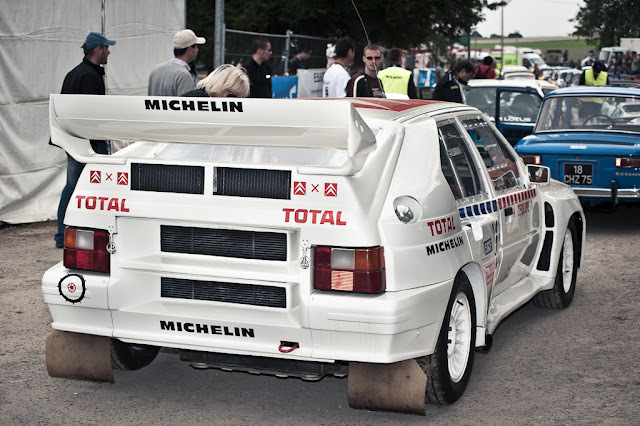 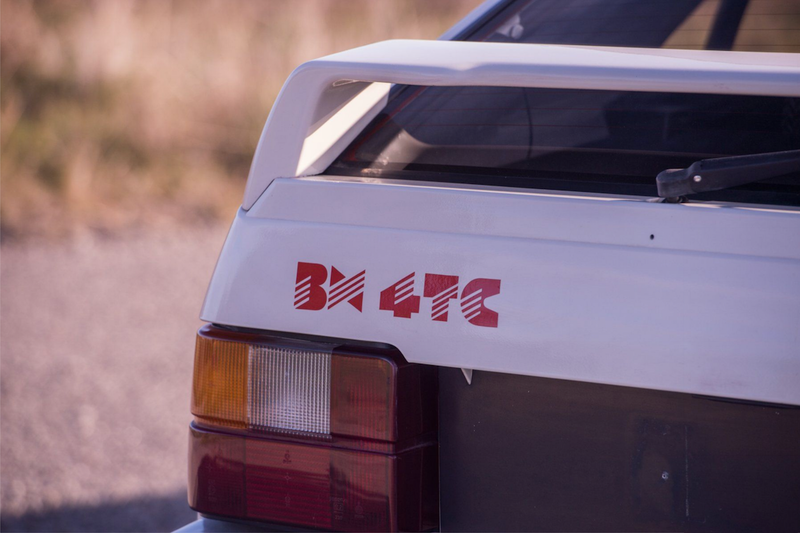 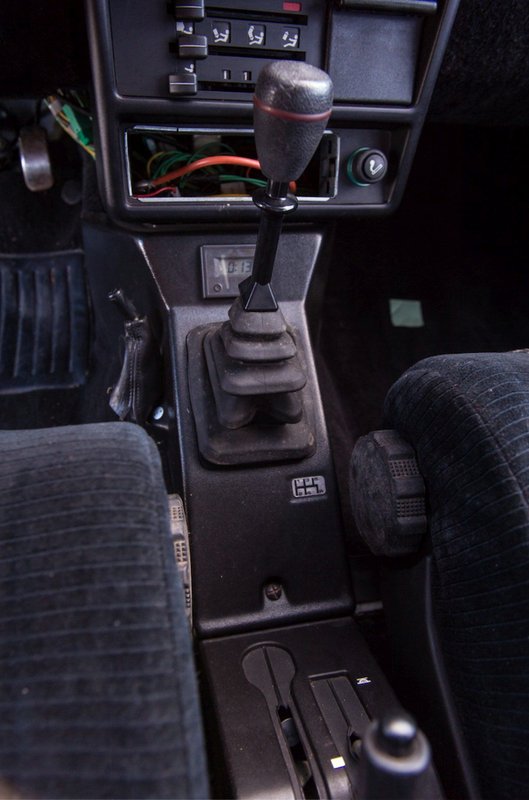 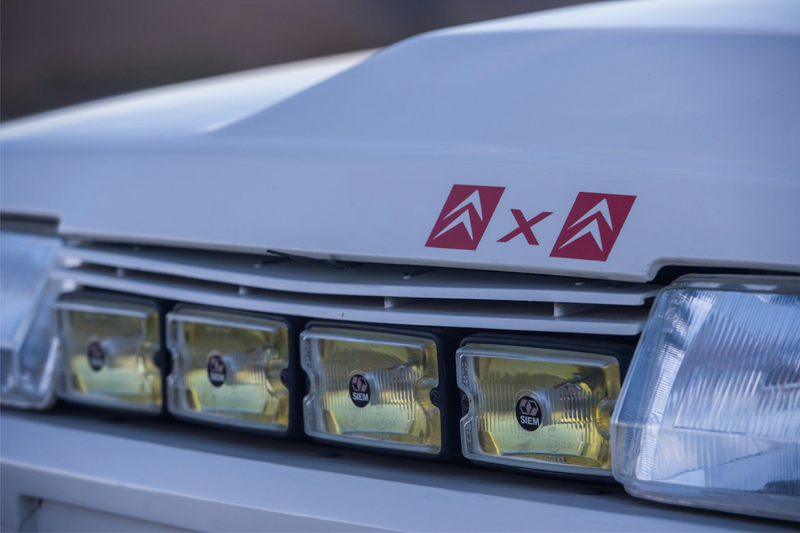 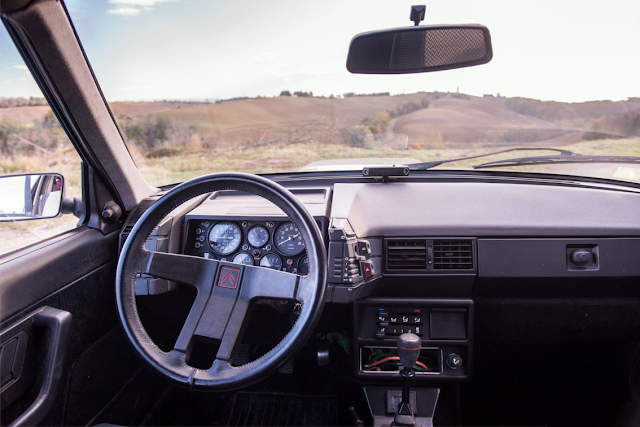 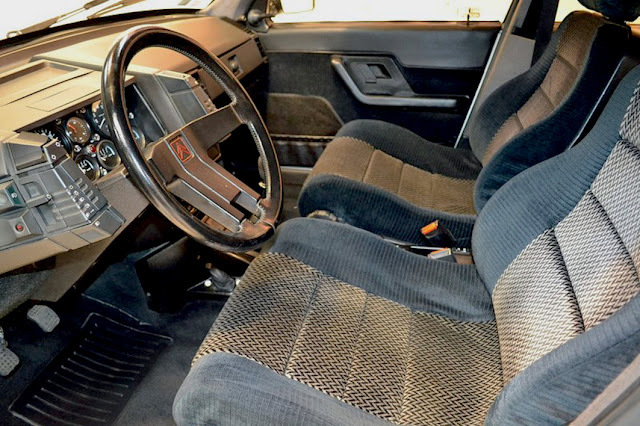 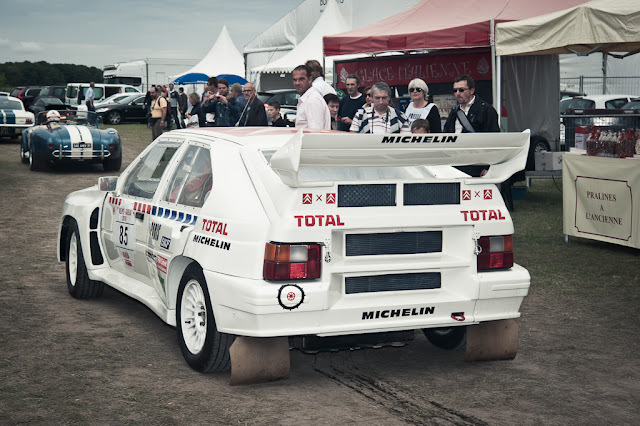 The specially designed rally BX was called the BX 4TC and bore little resemblance to the standard BX. 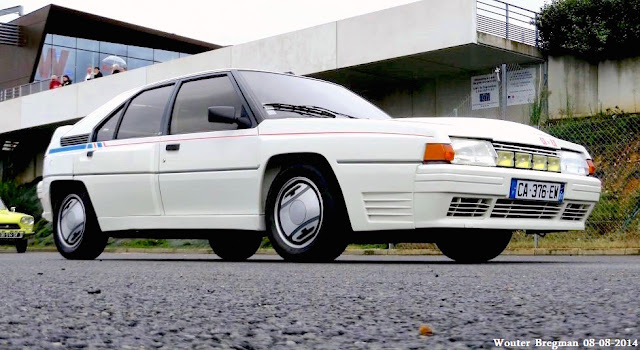 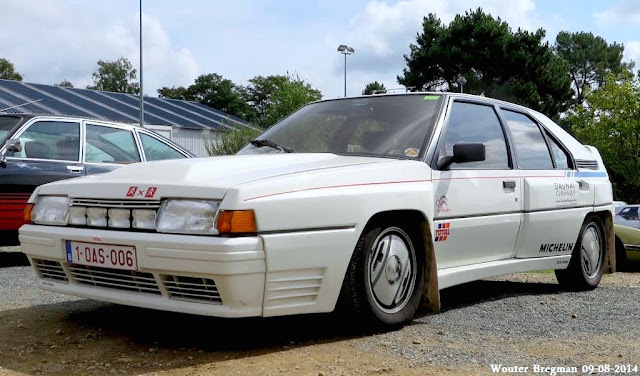 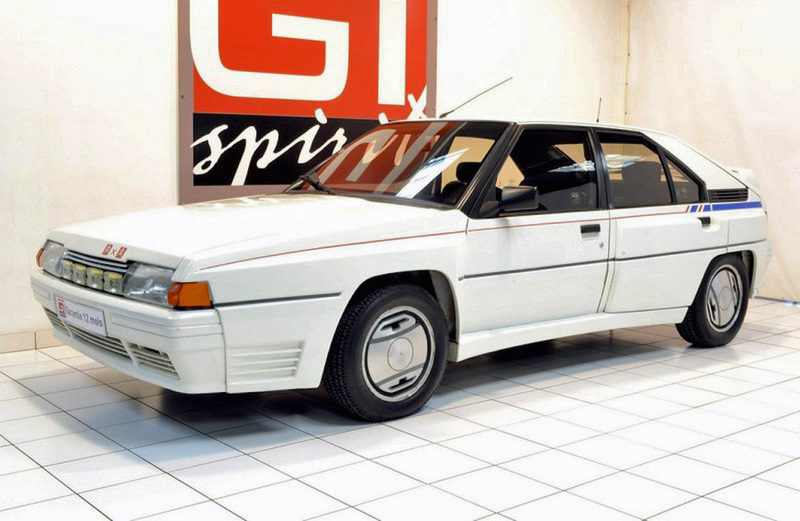 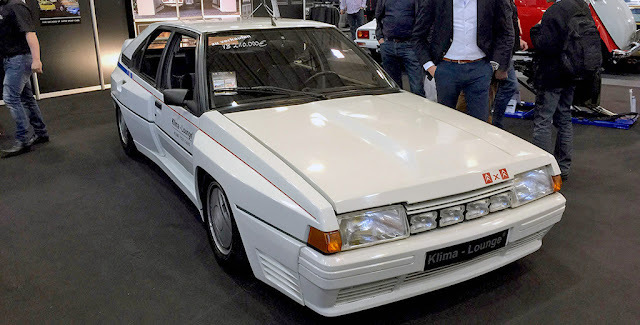 Built by Heuliez, it had a very long nose because the engine (a turbo-charged 2.2-liter from Simca-Chrysler four cylinders) was mounted longitudinally unlike in the regular BX. 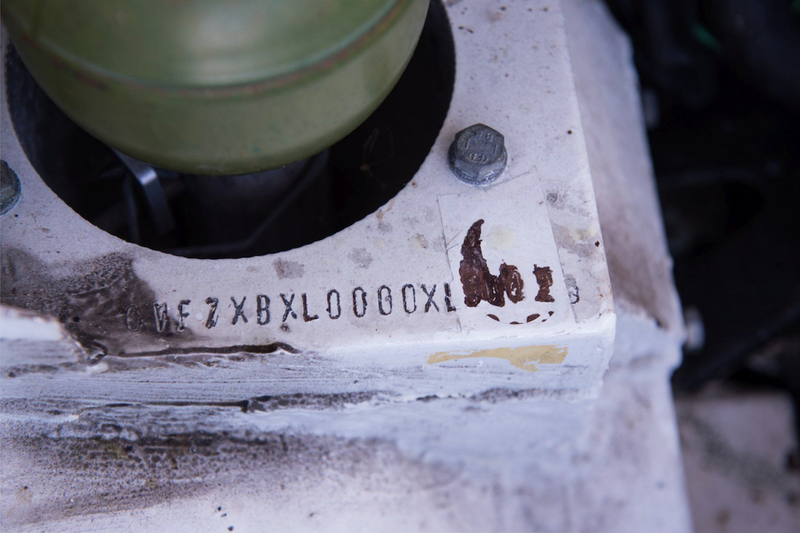 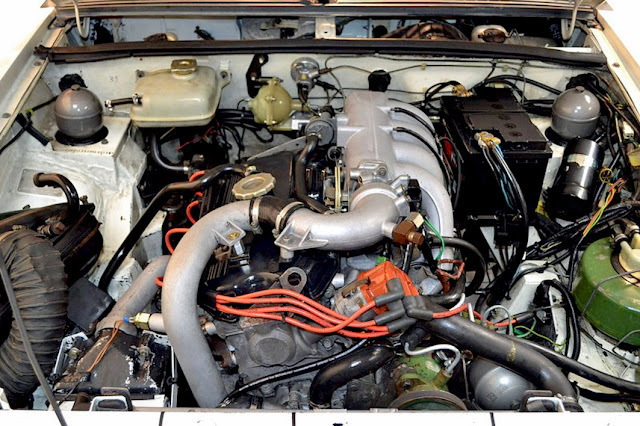 The engine was downsleeved to 2,141.5 cc (from 2,155 cc) to stay under the three-litre limit after FIA's multiplication factor of 1.4 was applied. 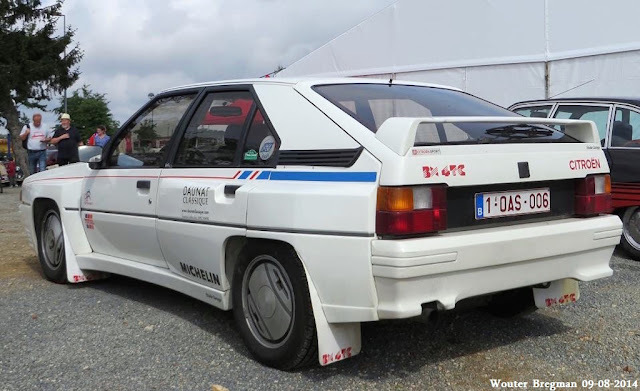 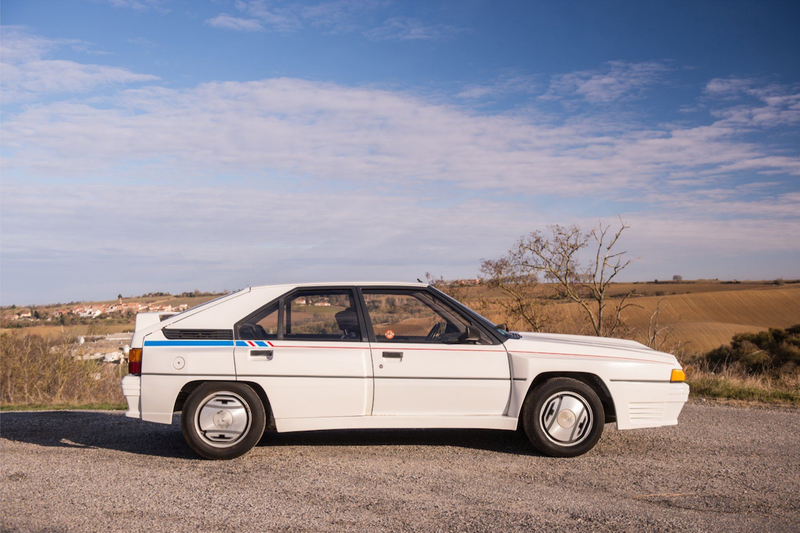 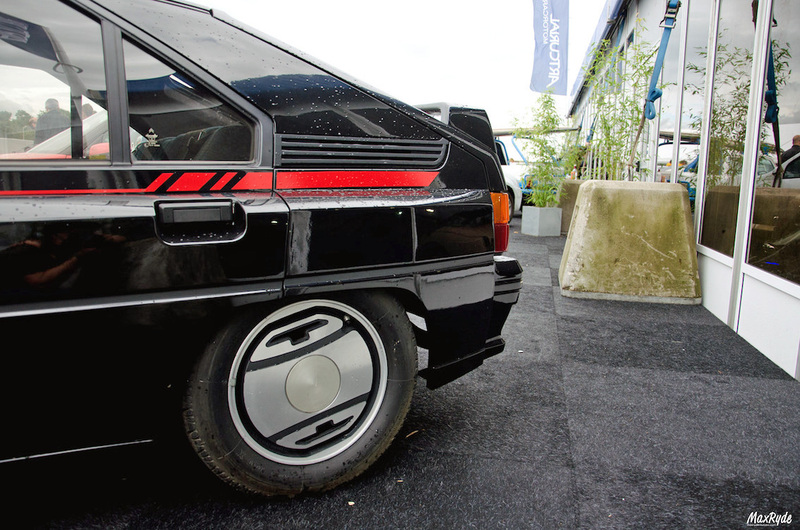 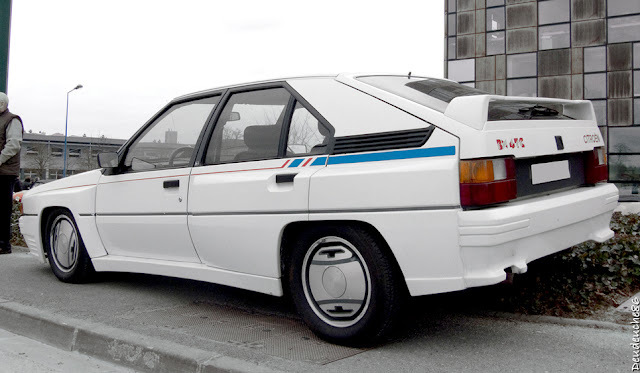 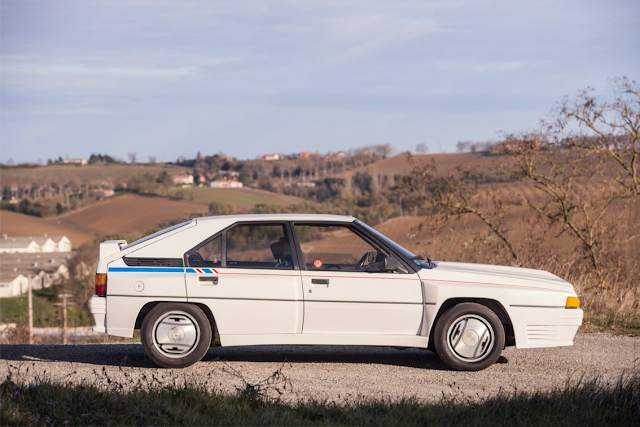 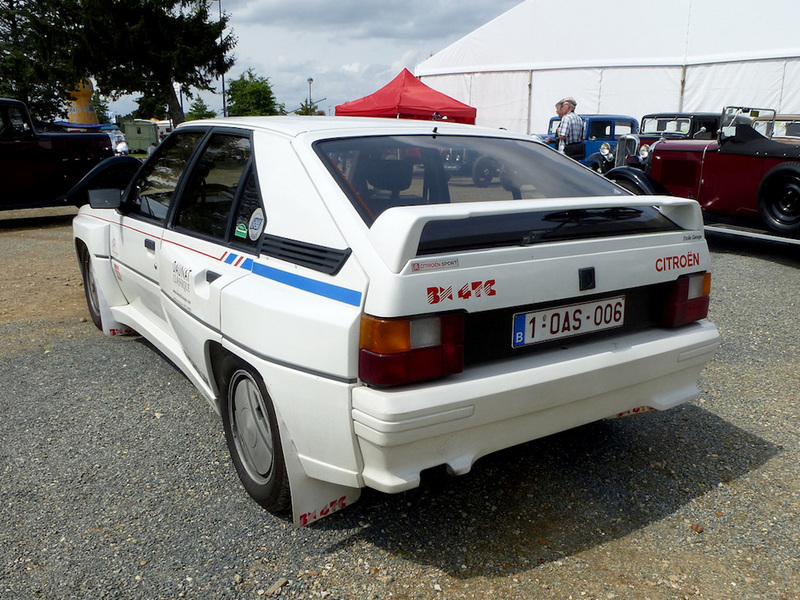 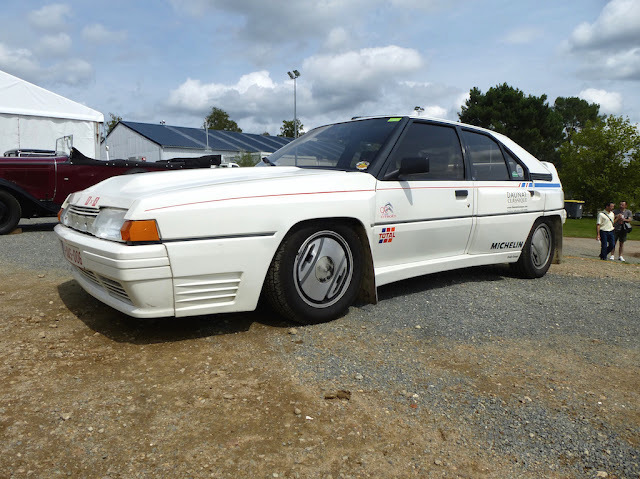 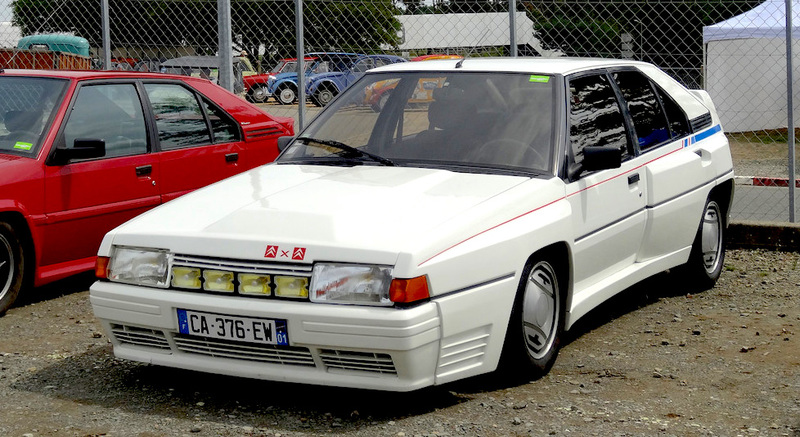 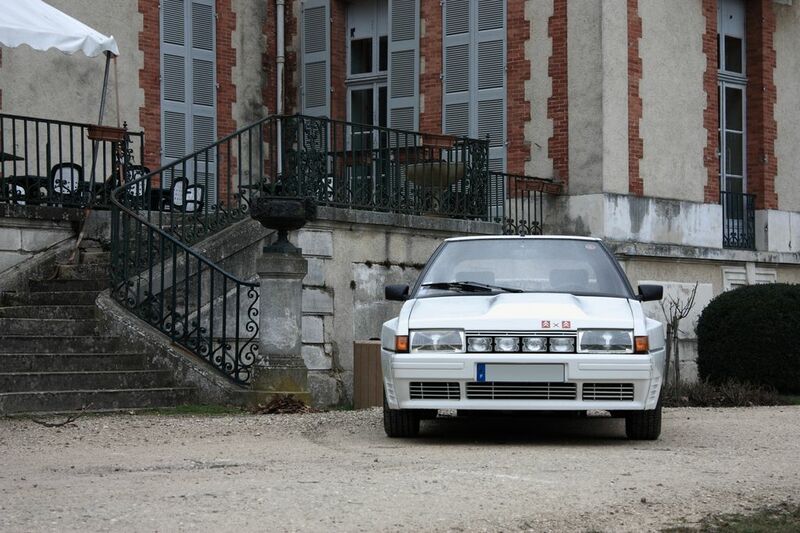 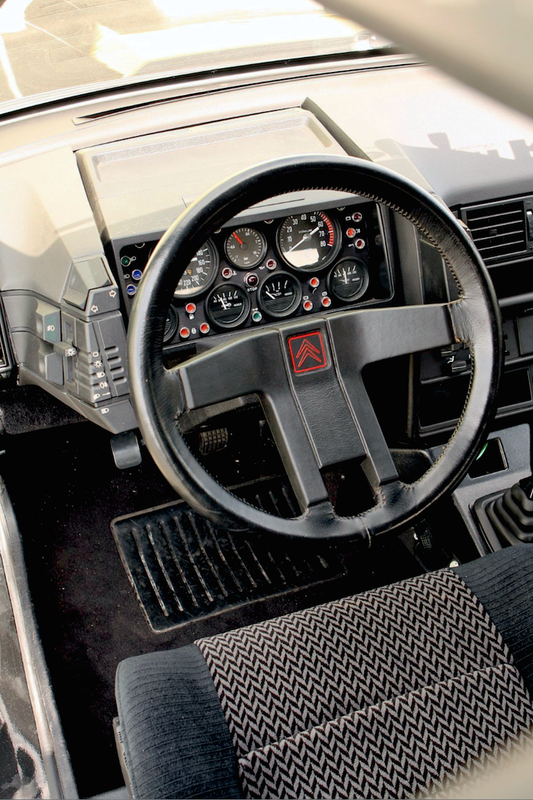 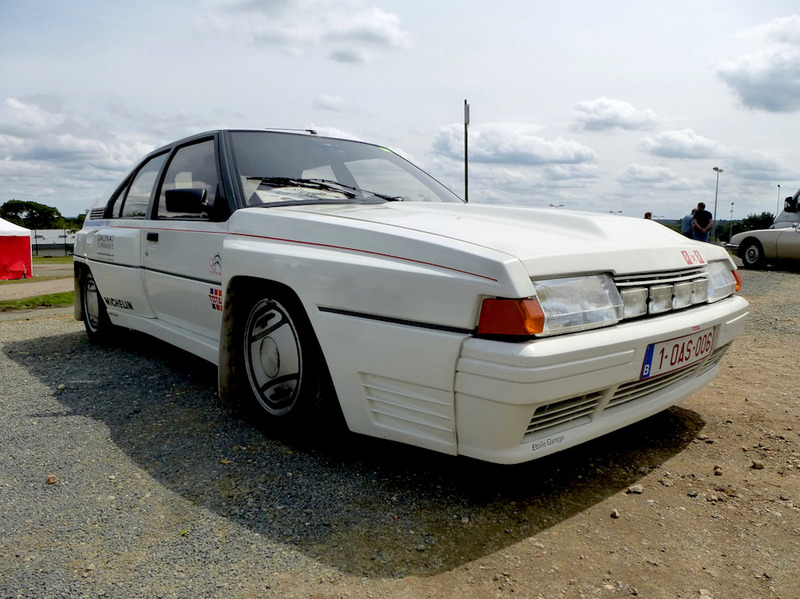 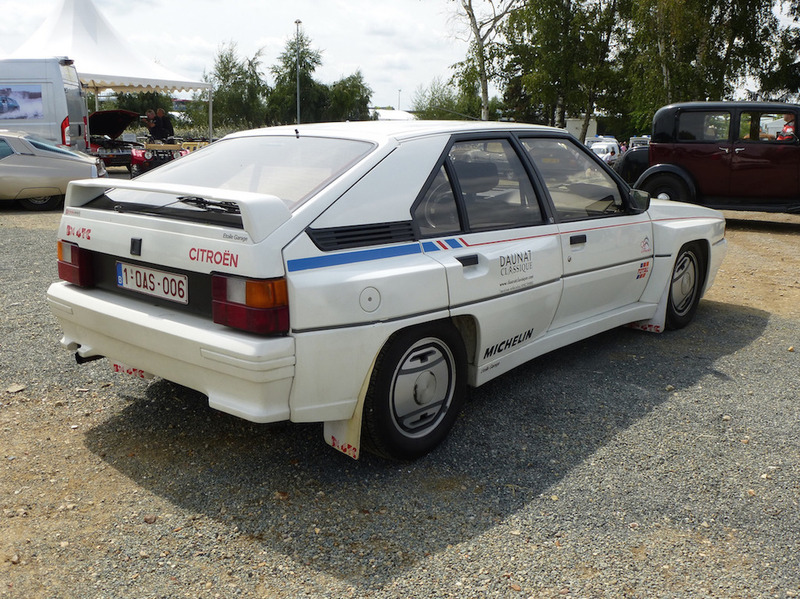 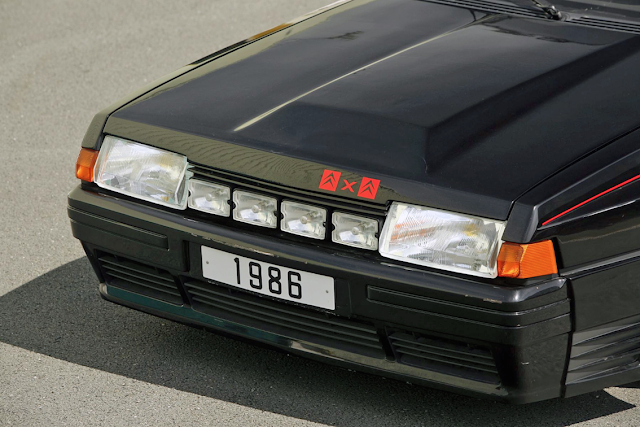 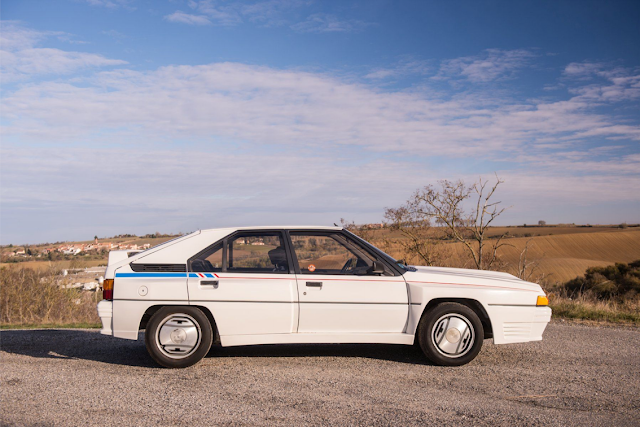 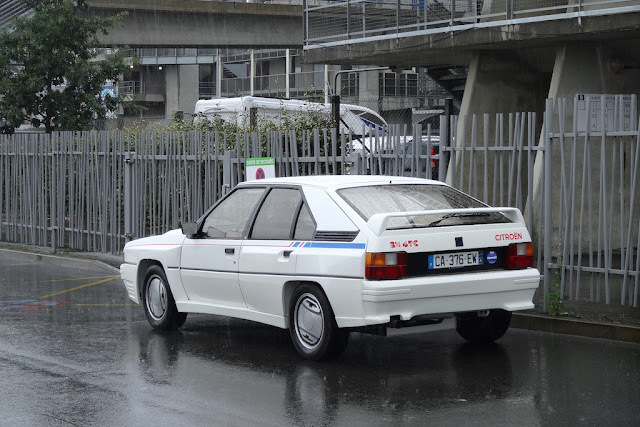 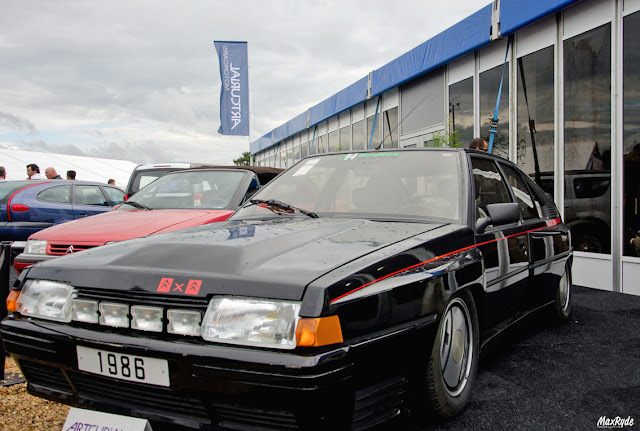 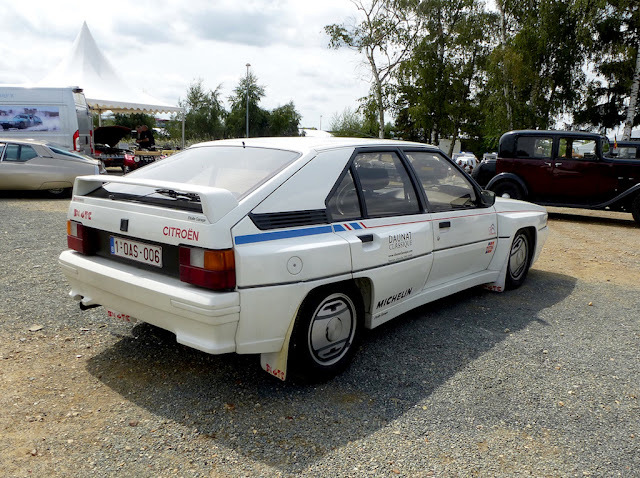 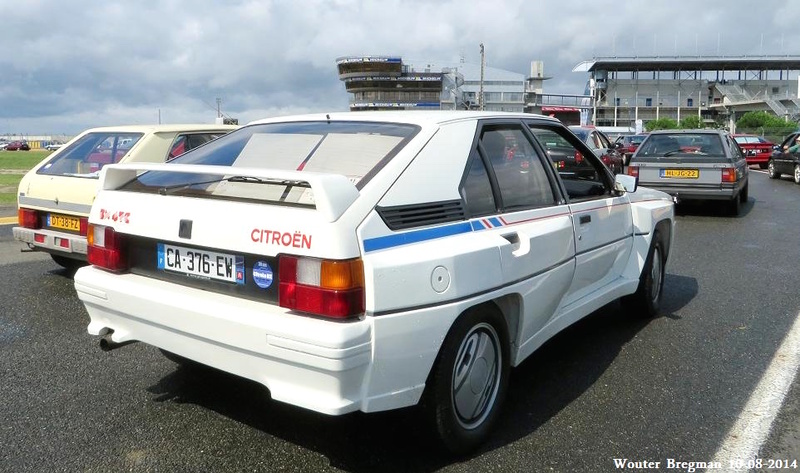 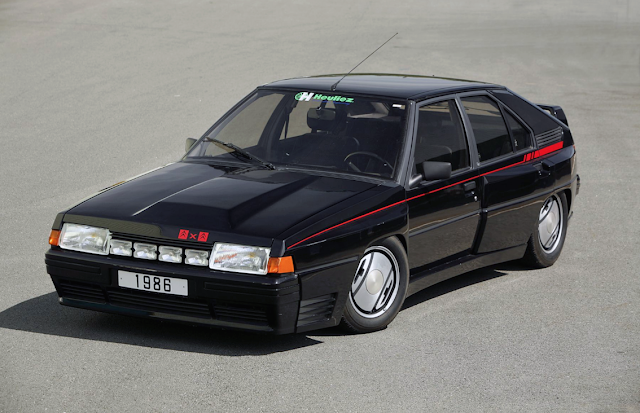 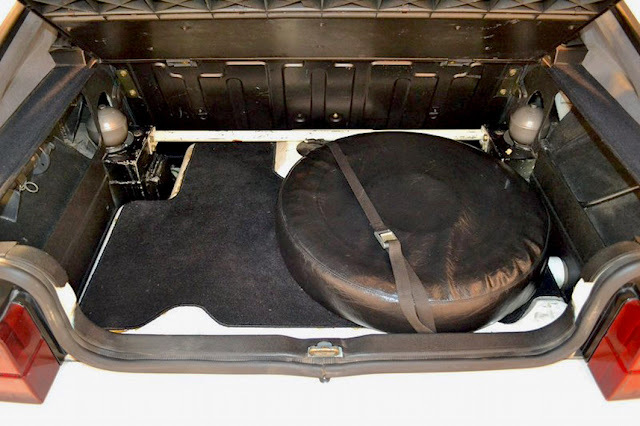 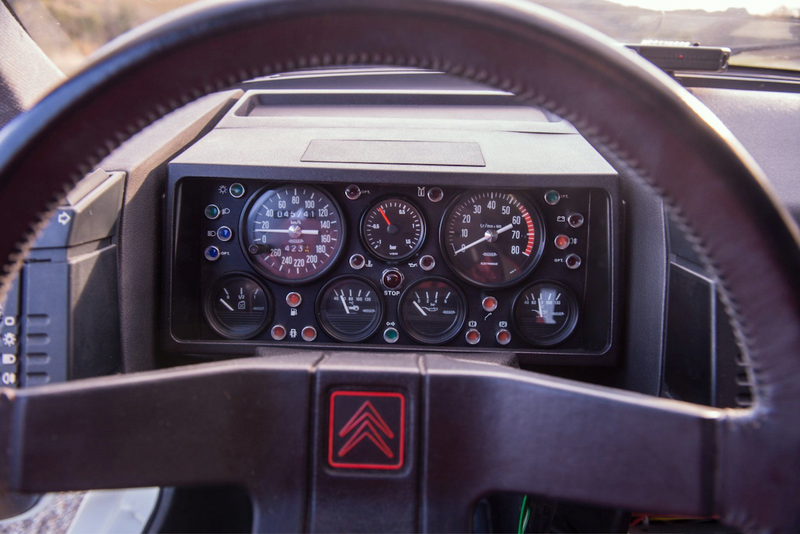 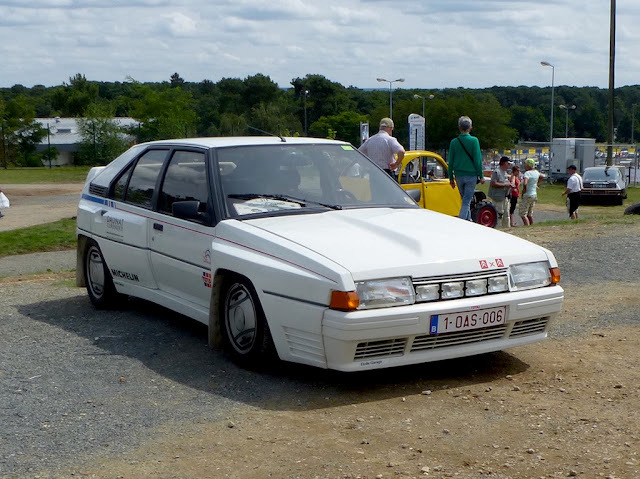 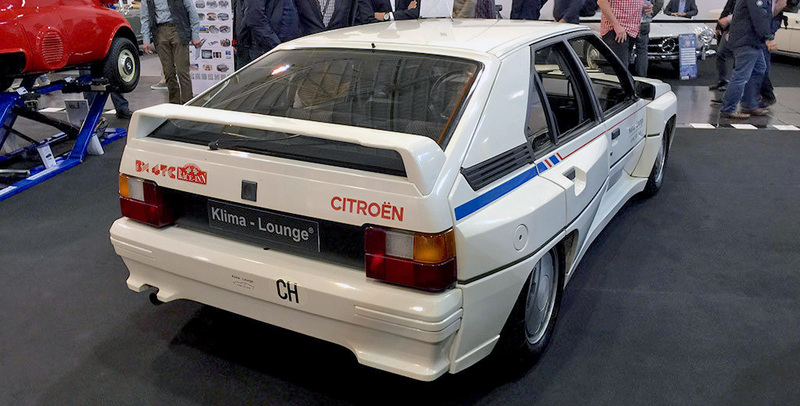 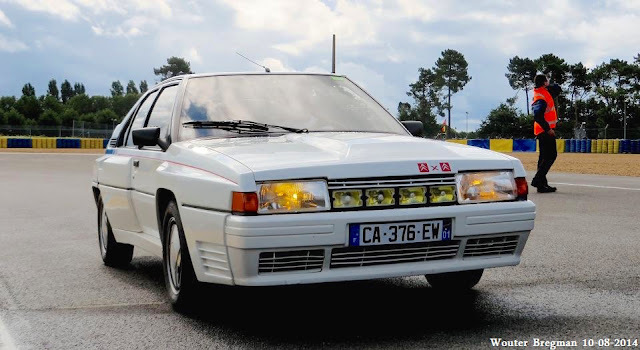 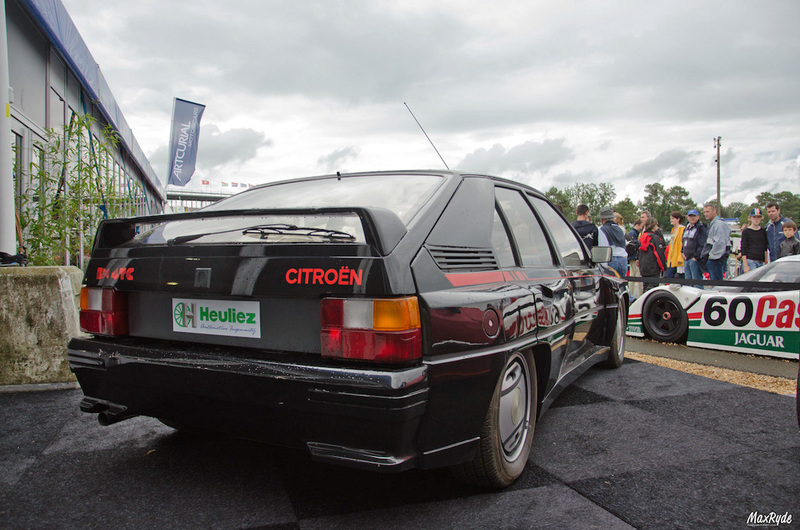 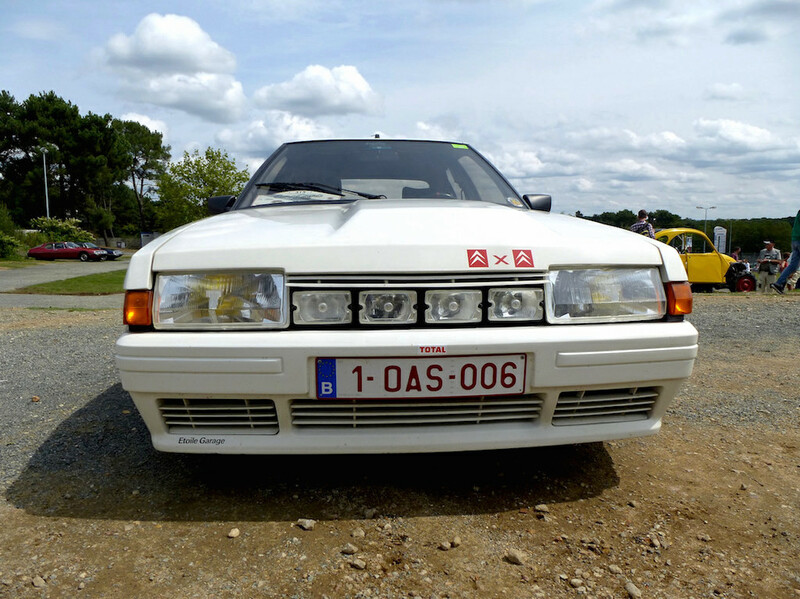 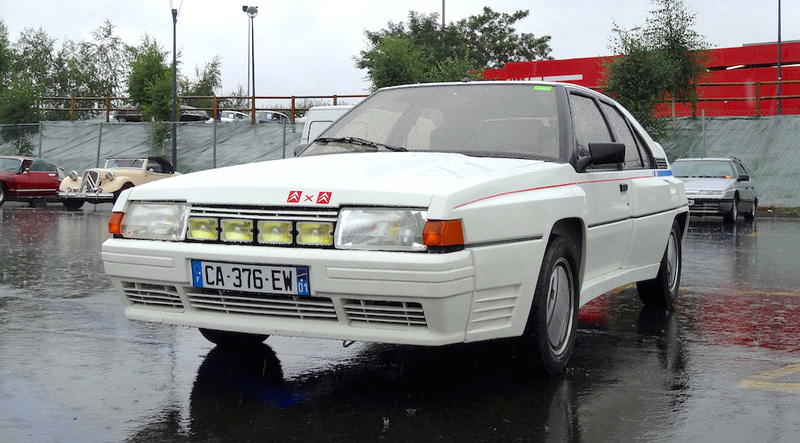 The rally version of the BX also featured the unique hydropneumatic suspension, and the five-speed manual gearbox from Citroën SM. 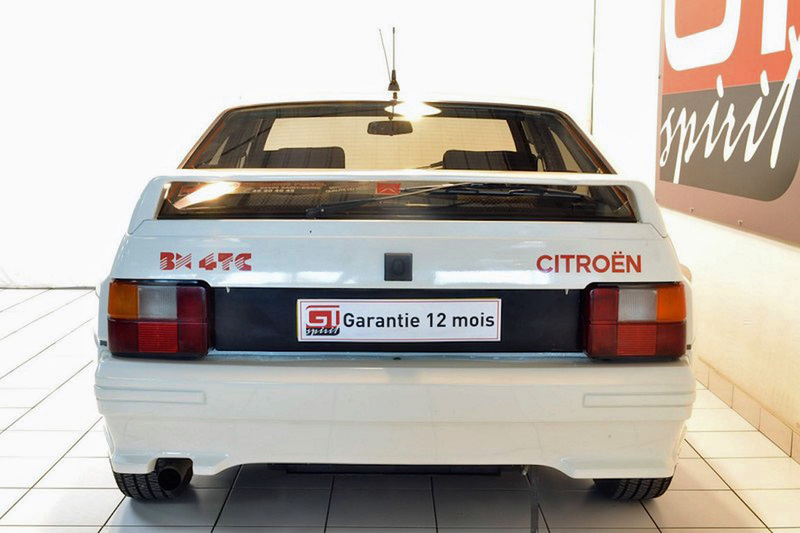 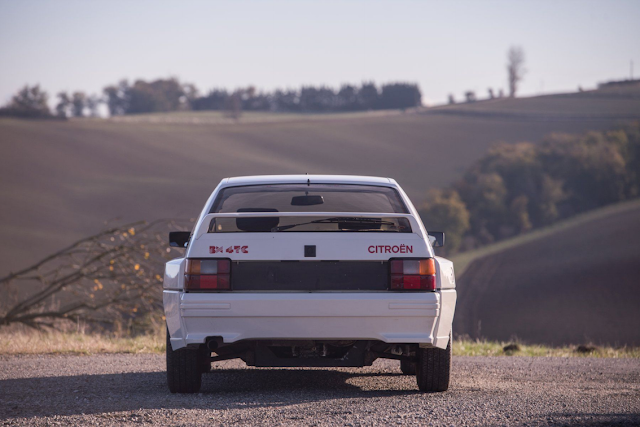 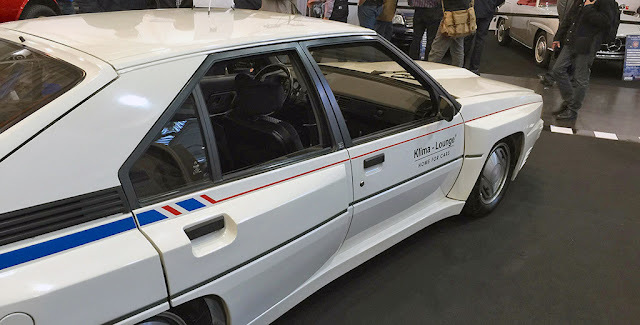 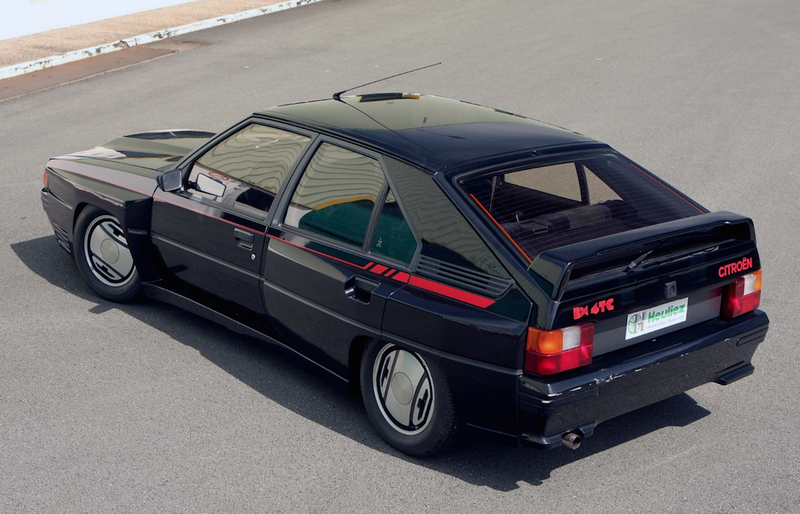 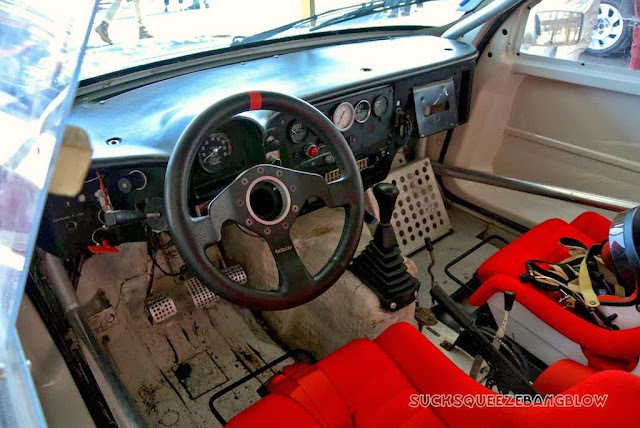 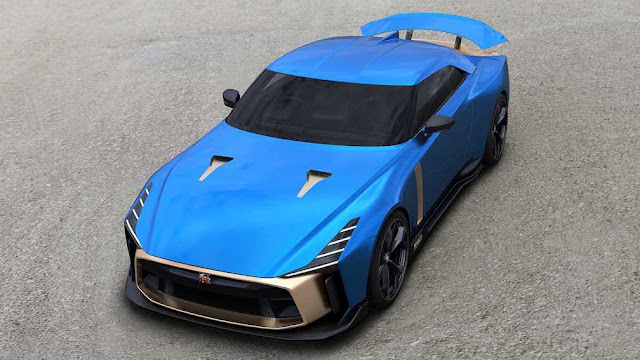 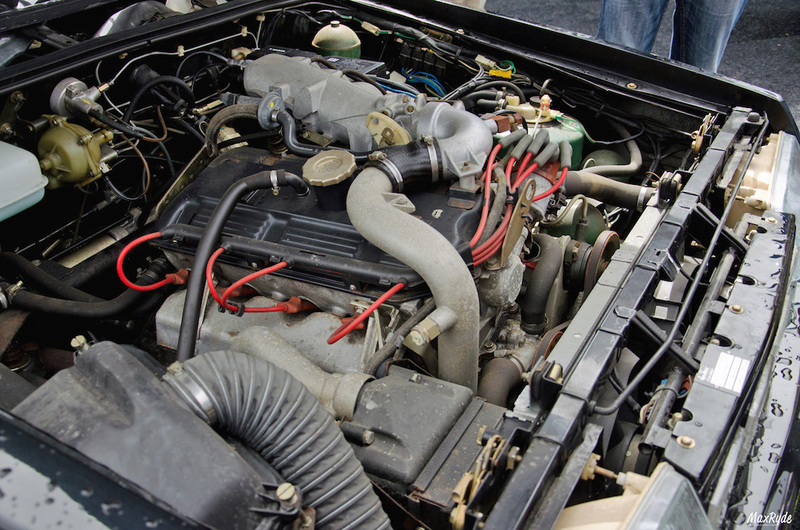 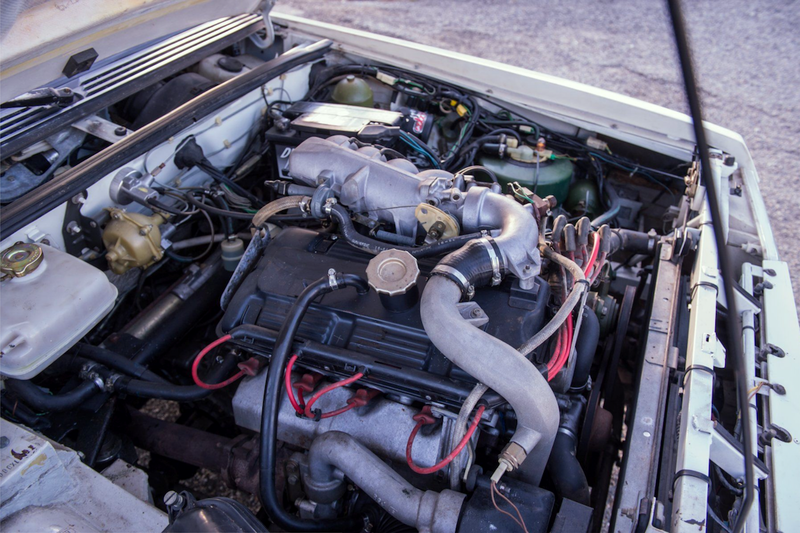 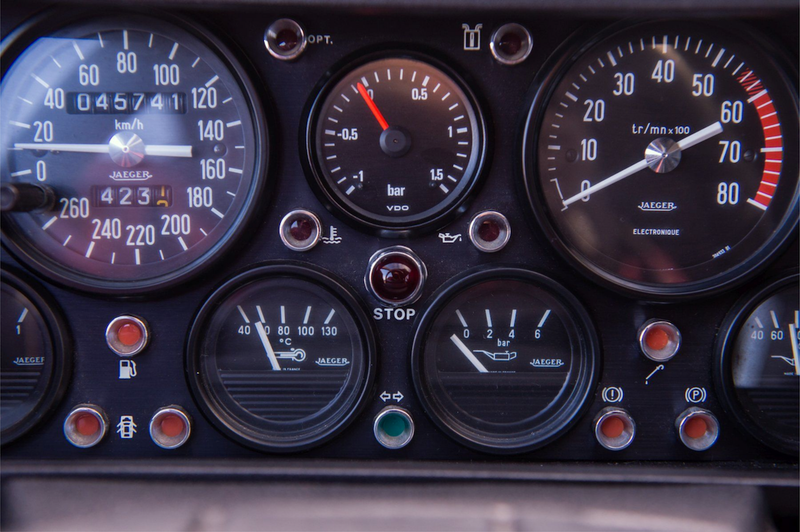 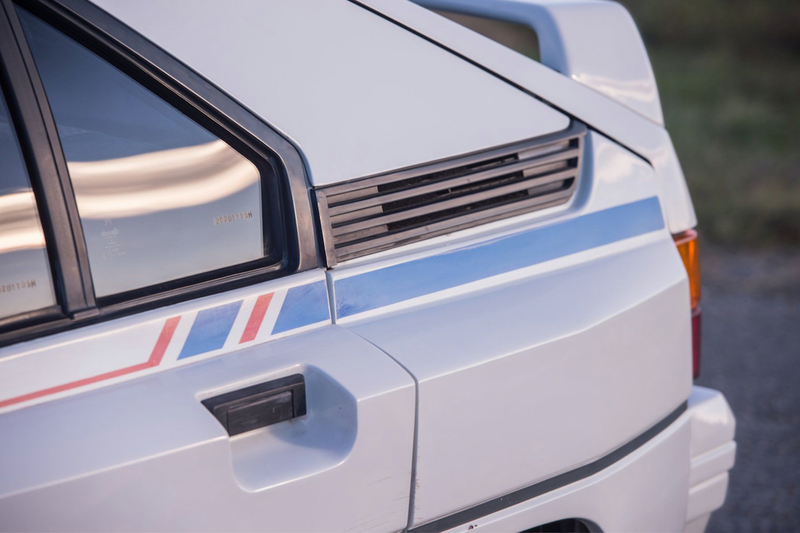 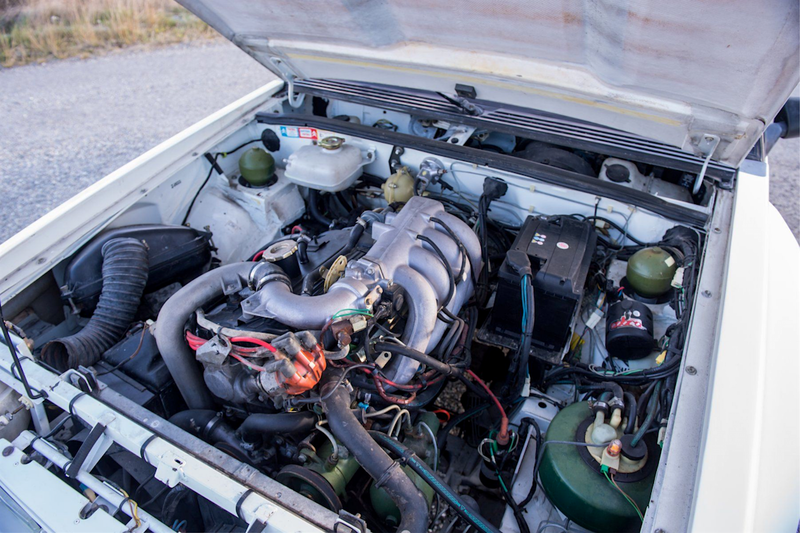 Because of the Group B regulations, 200 street versions of the 4TC also had to be built, with a 200 PS (147 kW) at 5,250 rpm version of the N9TE engine. 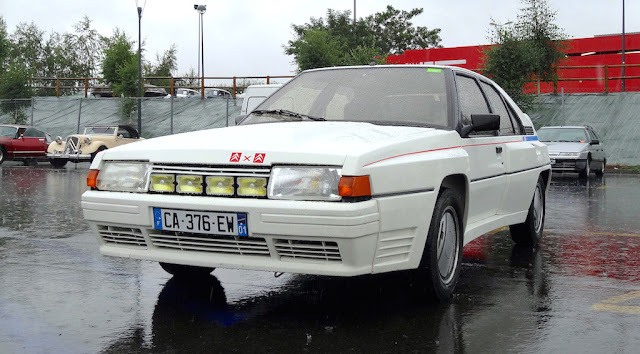 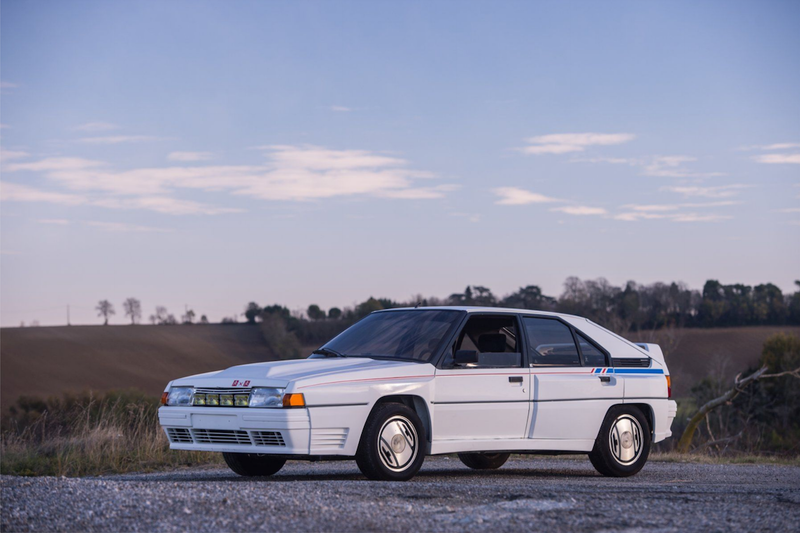 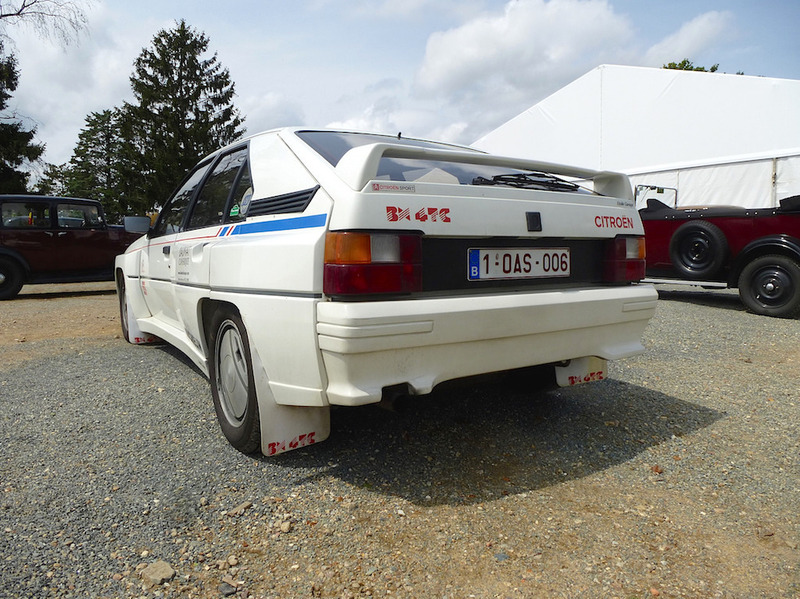 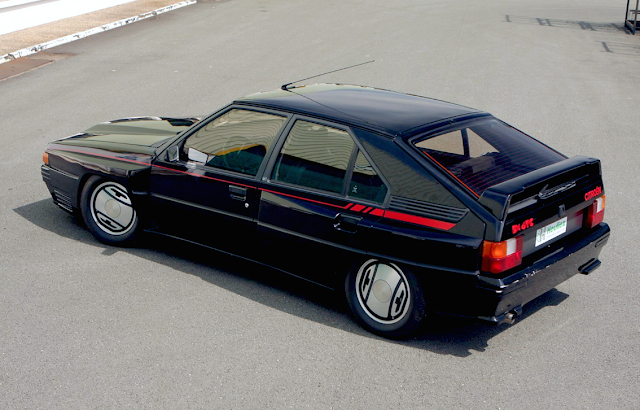 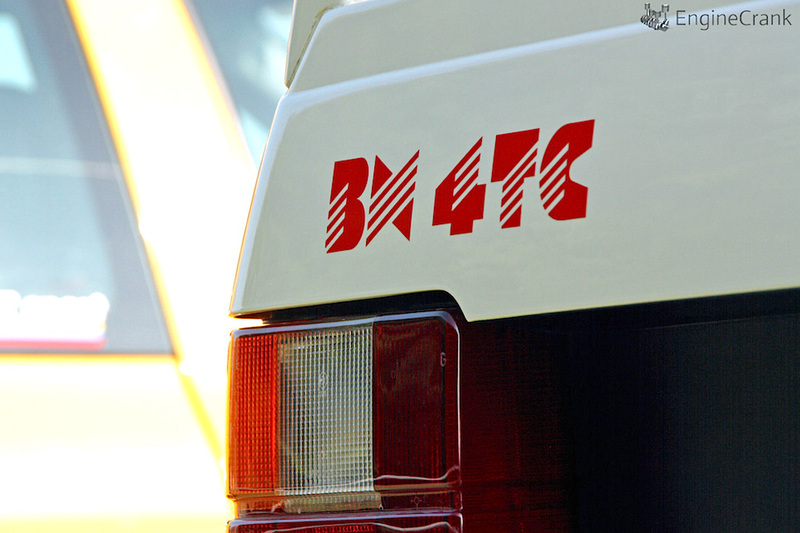 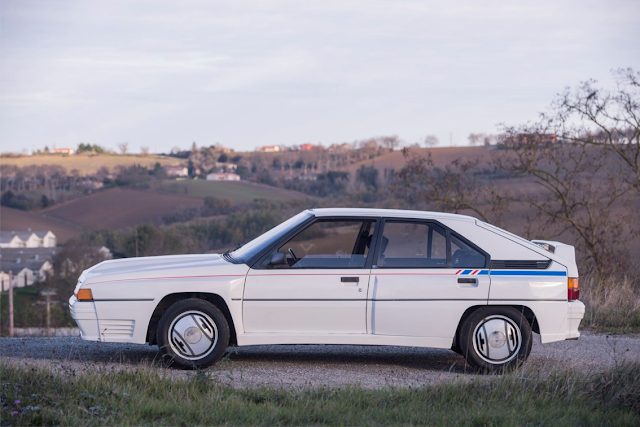 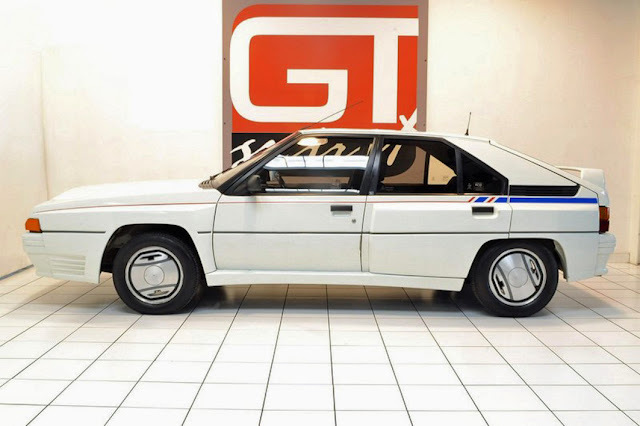 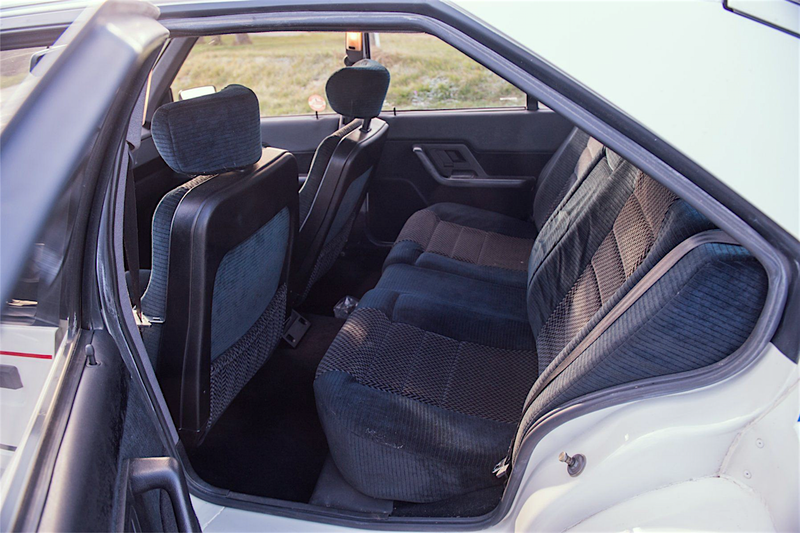 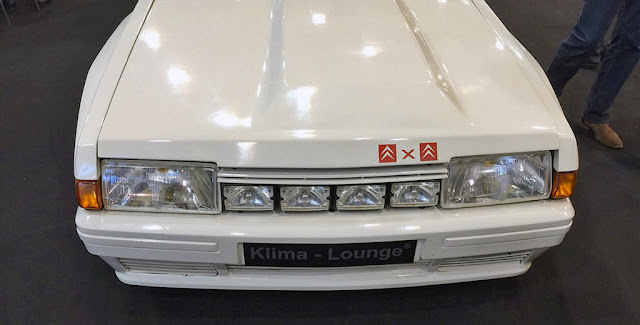 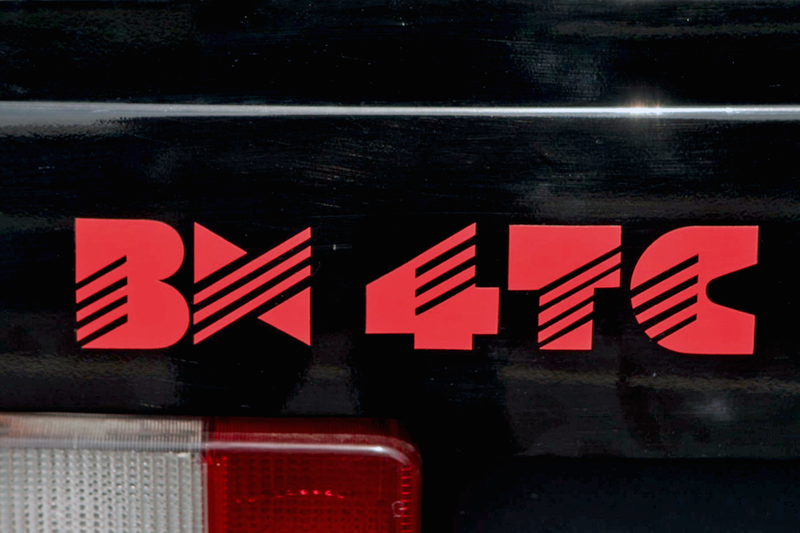 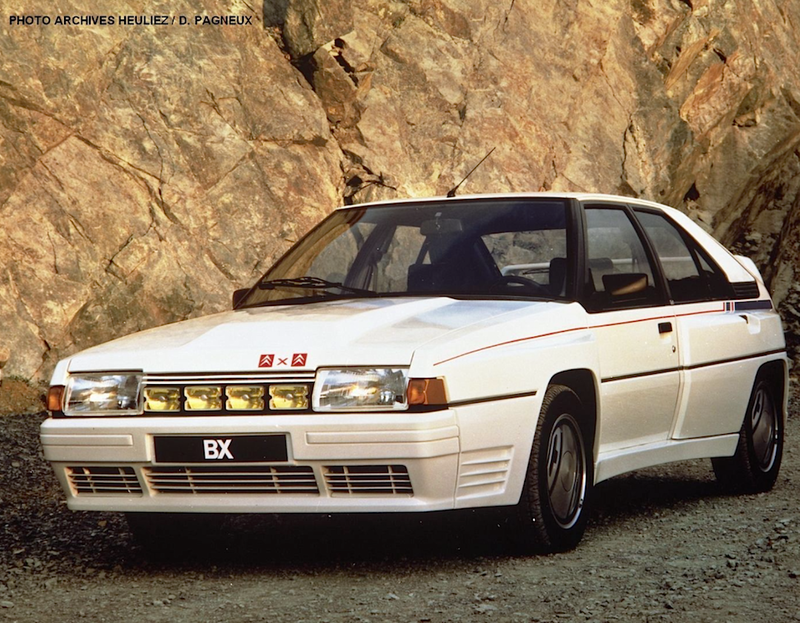 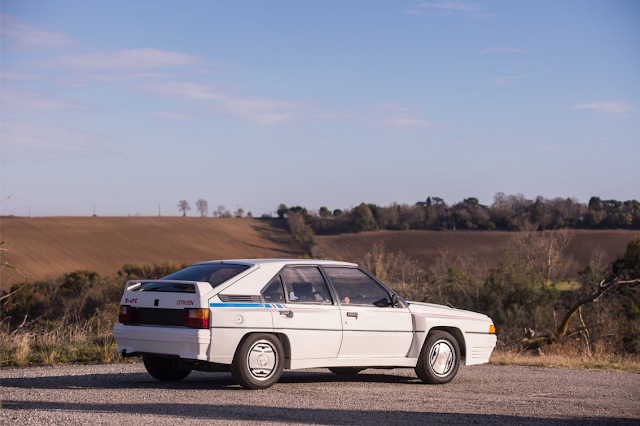 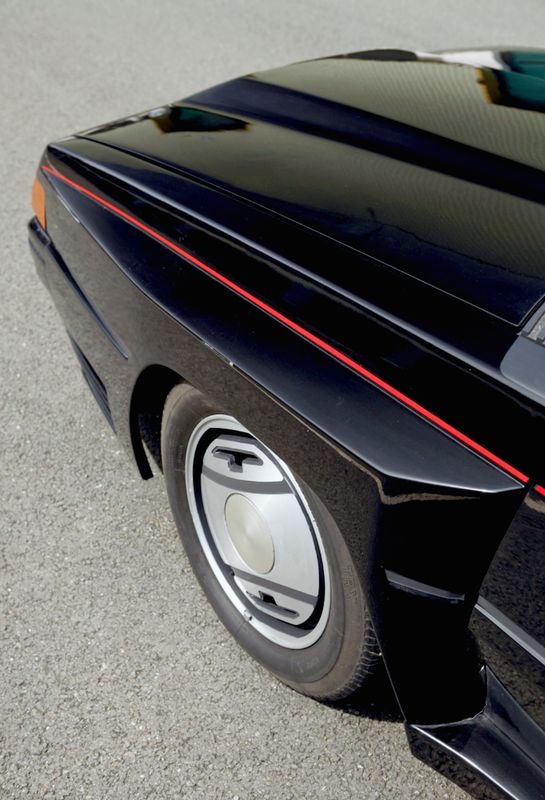 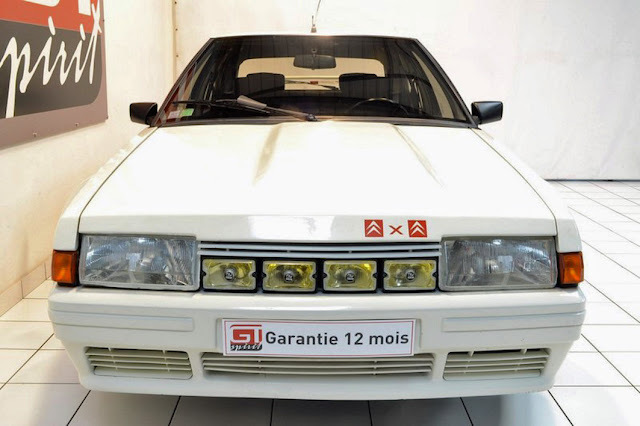 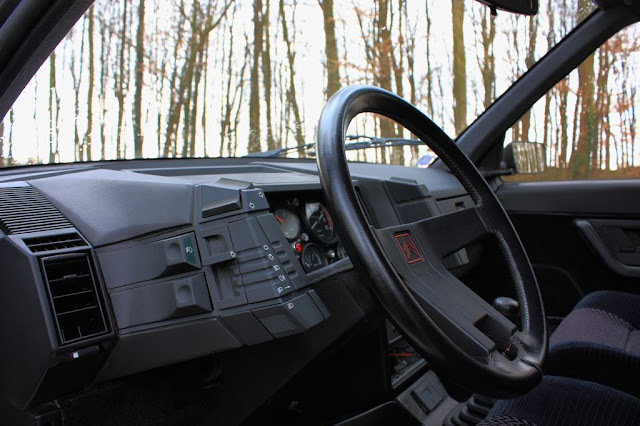 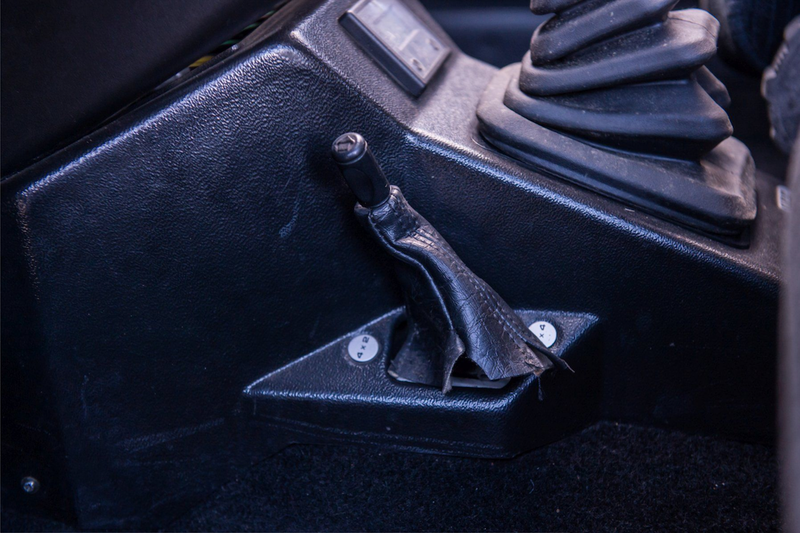 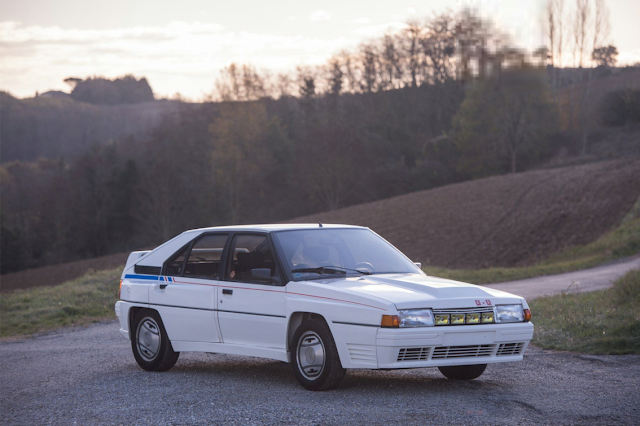 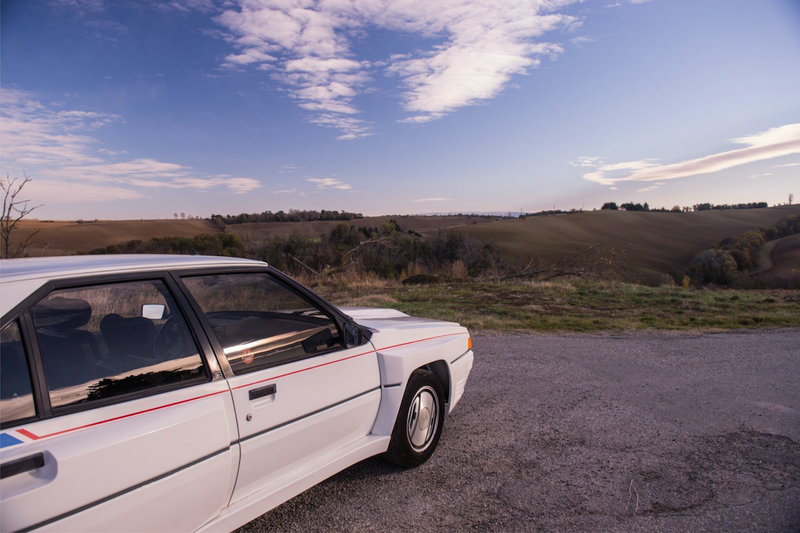 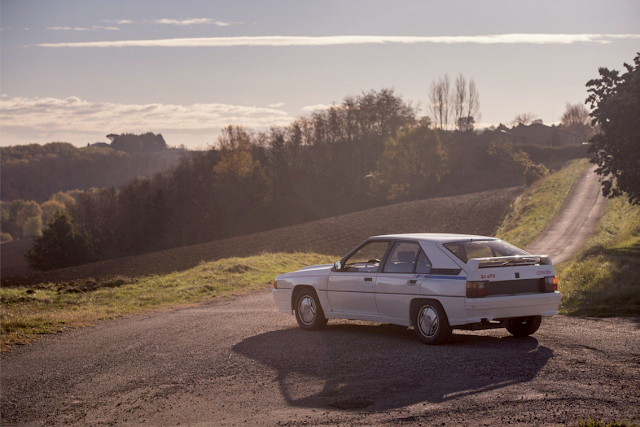 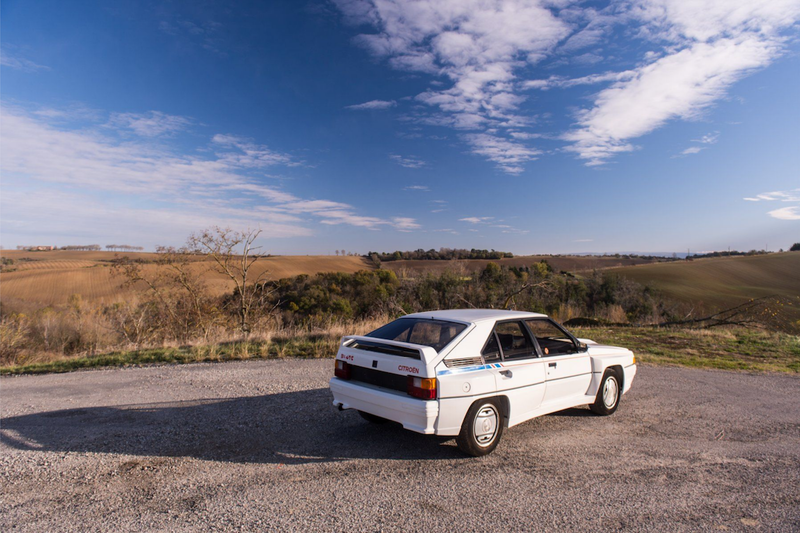 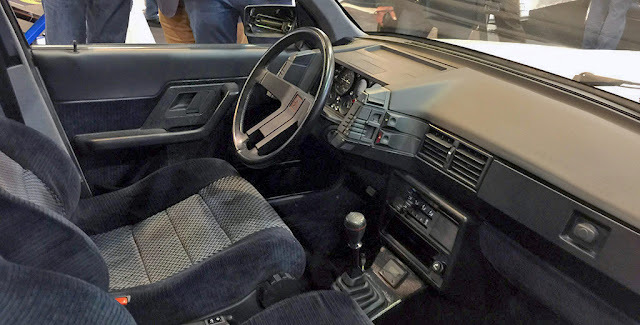 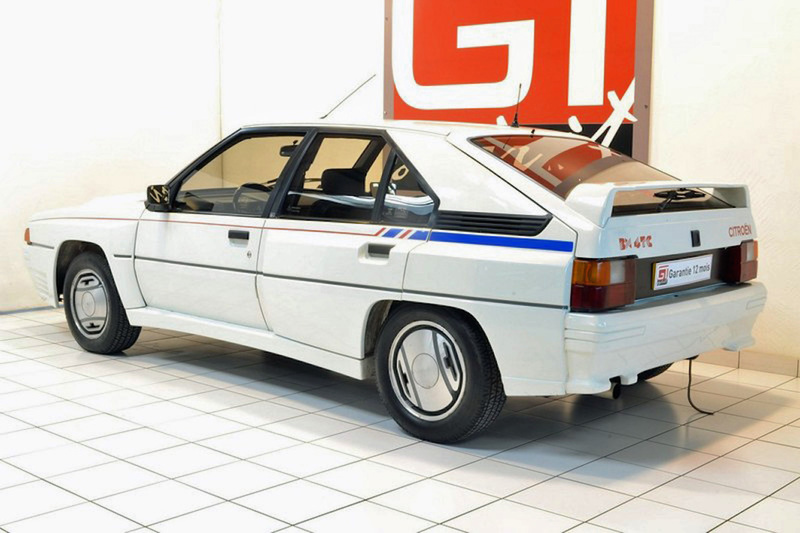 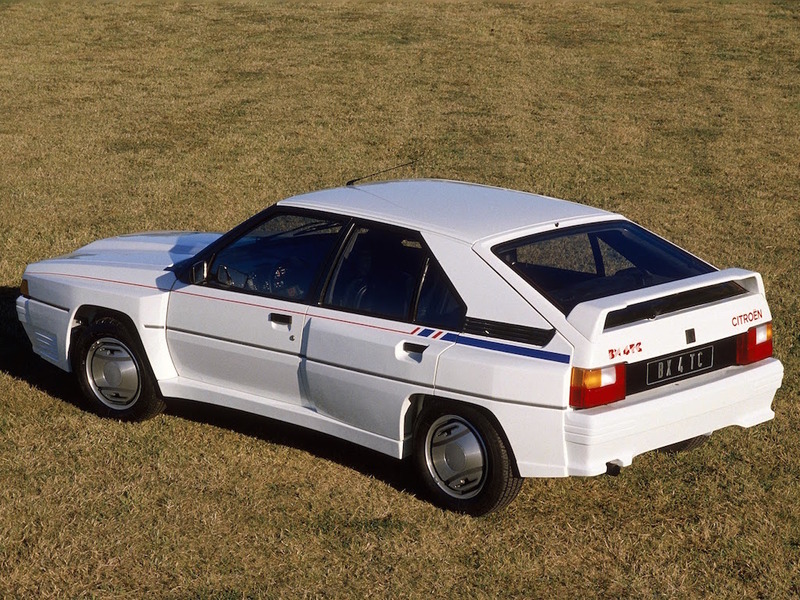 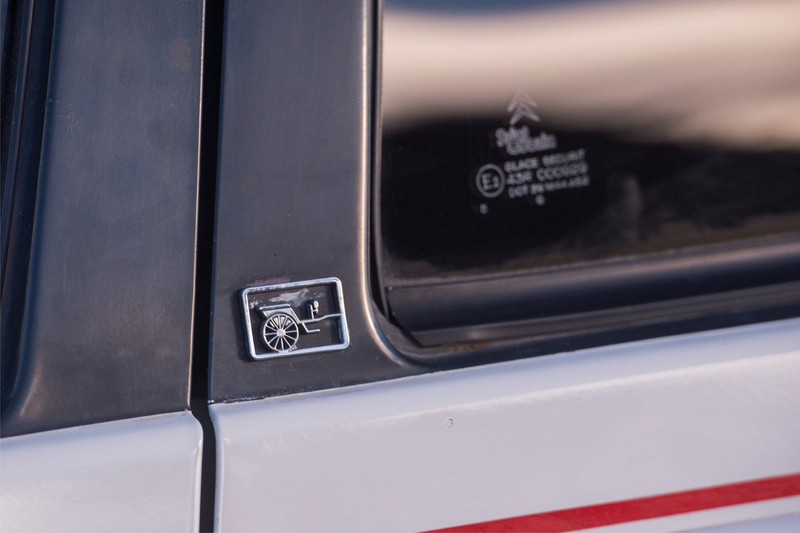 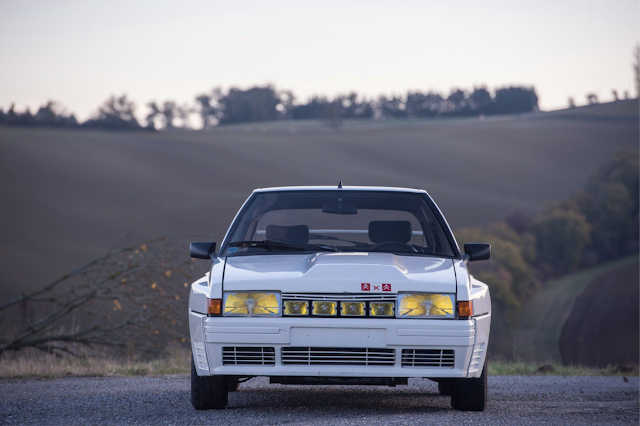 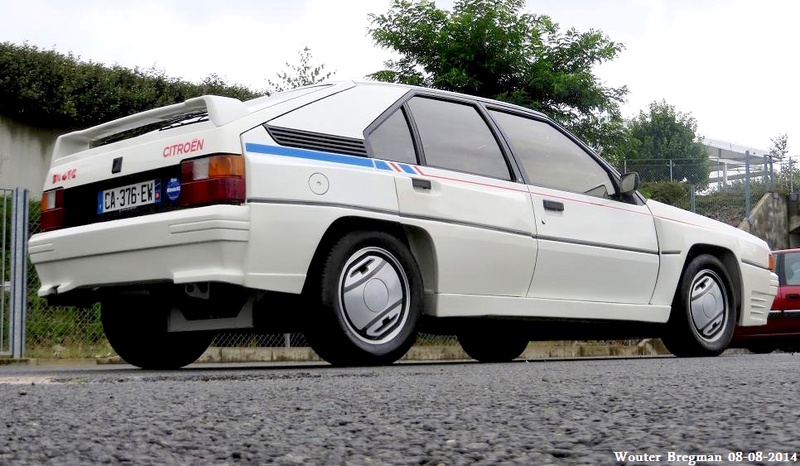 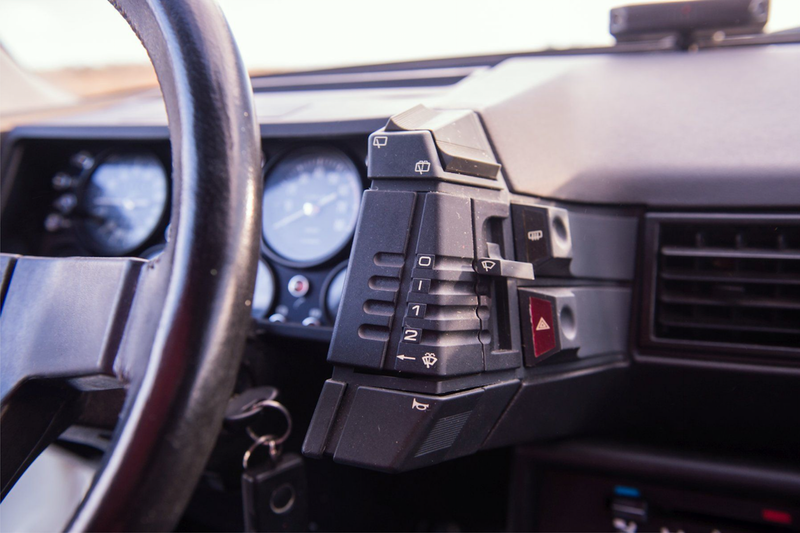 The BX 4TC had a very long nose because the engine (a turbo-charged 2.2-liter from Simca-Chrysler four cylinders) was mounted longitudinally unlike in the regular BX.